The Russian way of dealing with death has changed since the early 20th century. 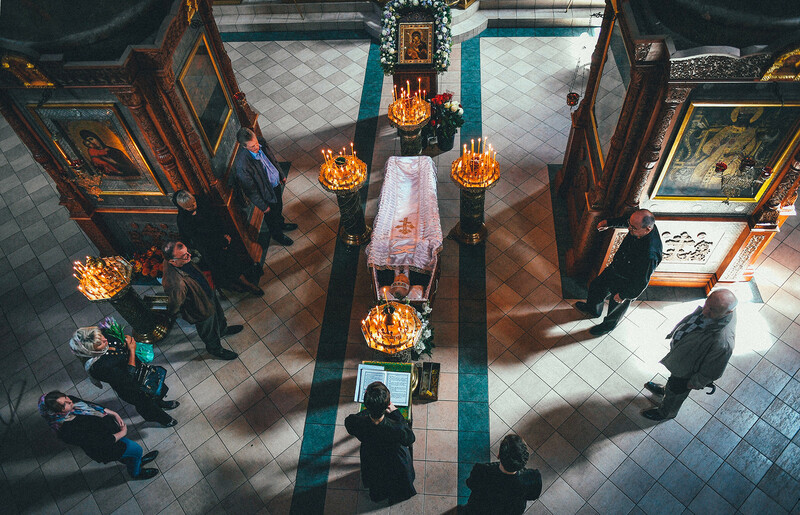 Paradoxically, however, Russians are rediscovering and reinventing funeral traditions and habits. Recently, a celebration of the Mexican Day of the Dead was banned from Red Square in Moscow for reasons that are not clear. The celebration with actors disguised as characters of Mexican folklore planned to begin at Gostinyi Dvor [a building not far from the Kremlin], and then march to Red Square. After hours of waiting the entire party remained inside the building. Employees at Gostinyi Dvor said there was an order from the Kremlin Security Service to stay put. But why? Who could this colorful event, which is included in the Representative List of the Intangible Cultural Heritage of Humanity by UNESCO, possibly offend? Maybe Vladimir Lenin’s mummy in the mausoleum? Or the ‘residents’ of the necropolis in the Kremlin wall, Gorky and Gagarin among them? The answer is probably as follows – Russians are not yet ready to accept death as an everyday common event, even though they did before. Most people from the countryside (even non-religious), as well as religious people (even from towns and cities) have a stern attitude toward death, considering it a part of life. In the 1920s and 1930s, the crematorium at Donskoe Cemetery was very popular with Muscovites, and guided tours were organized during which people watched corpses being incinerated. But how could they watch this?! It’s horrible! For them, however, it wasn’t. Death in traditional Russian society (still around during first decades of the 20th century) was more common. High death rates, both for children and adults, came from a low level of healthcare, epidemics and crime. Every villager had seen a funeral many times, having many deceased friends and relatives. They knew how to soothe the pain, and many people in the countryside still do. “In a village, you approach a man and say: ‘I understand it all. Let me cook porridge for the wake. What, the millet porridge is already cooked? Then I’ll do the buckwheat.’ And that’s enough, because it’s the start of communication,” Anna Sokolova, a Russian anthropologist specializing in death studies, says. 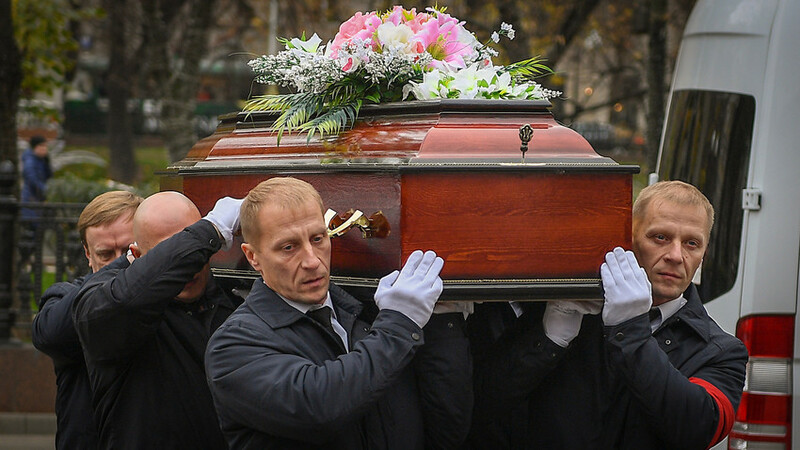 She argues that the majority of Russians still perform poorly when talking about death. If a person’s close friend or relative dies, he’s reluctant to speak about this at work. It’s kept under the rug, and that’s very bad because communication about death is psychotherapy. In the same way, preparations for the wake, such as cooking funeral meals and mourning, are also part of the process. During the course of the 20th century, Russia suffered many tragic events that brought death on a massive scale: World War I, the Civil War, mass famine, the purges of the 1930s, and World War II; and then at the end of the century, the war in Afghanistan and two Chechen wars. Not only that, but during Soviet times many people were dislocated, lost their parents and relatives, and saw their ethnic identities and national cultures repressed. “Soviet culture was one of evading death, of youth and immortality,” Sokolova explains. Soviet heroes, beginning with Lenin, were “immortalized in the people’s memory,” as official propaganda used to say. It was crucial to turn people’s attention away from the fact of mass purges and casualties of war, to soothe the grief by trying to ignore it. Rituals also started to disappear because there was not enough time for them. Starting in the early 1930s and continuing until 1967, Russians worked six days a week – partly because the state wanted to erase old rituals and habits that took a large chunk of people’s time, which instead could be used to work and serve the state. Stalin didn’t want Russians to mourn their dead for two weeks, as they used to – they had to raise the country from the ashes of war. Meanwhile, the population grew, and that meant more funerals. In the USSR, as everywhere in the world, morgues, hospitals and nursing homes took on duties that earlier were performed by relatives. 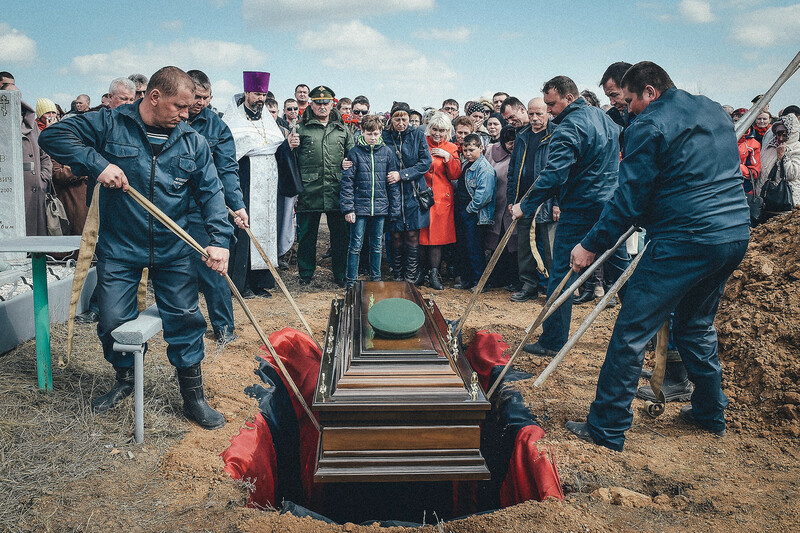 “Psychologists now say that relatives bury their dead, but only after two weeks do they suddenly realize that he’s really gone,” Mokhov adds. 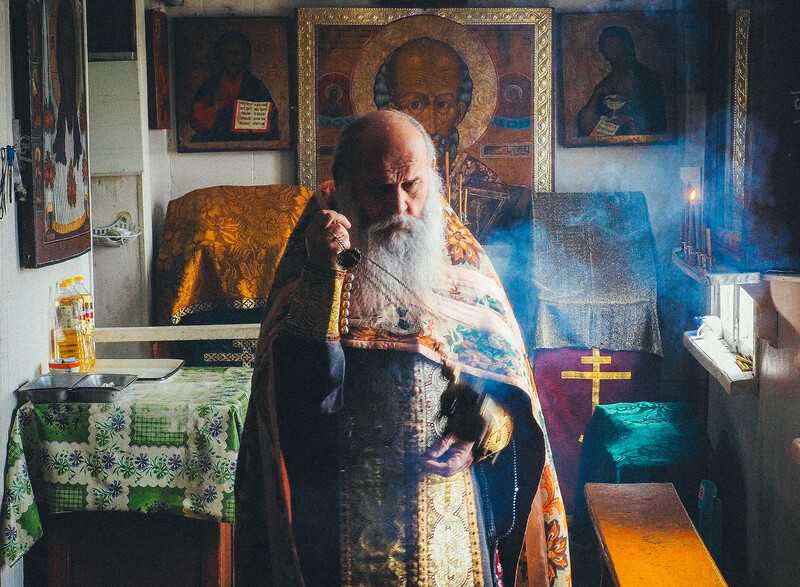 Only in closed communities, such as the Old Believers, have the old habits survived. 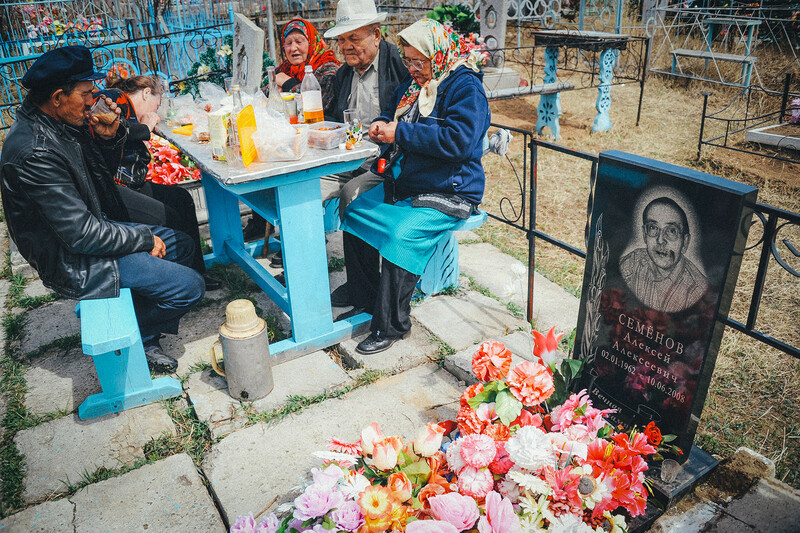 Sokolova tells about a village group of Old Believers who met a funeral agent holding shotguns and saying: “Our deceased is perfectly comfortable at home.” Not surprisingly, the body wasn’t taken to the morgue. But how do all the others – non-religious, urban, and not old enough to remember the old ways – deal with this issue? 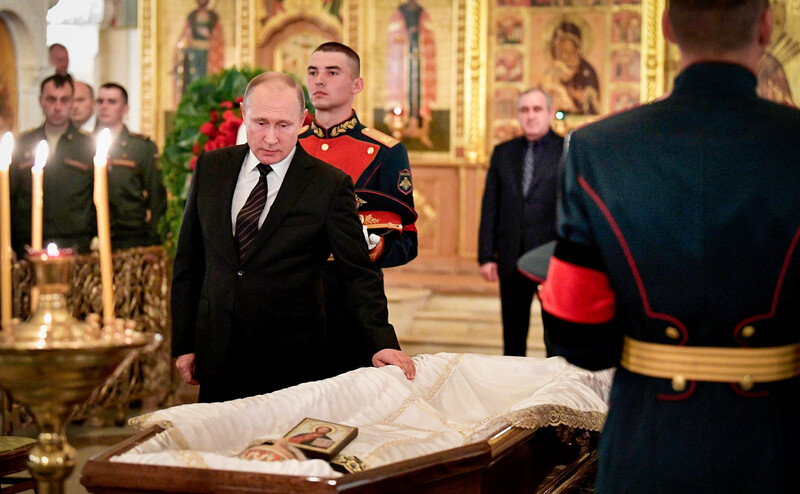 Yes, contemporary Russians need support after the death of their close friends and relatives. And they’re searching for new ways of coping with and accepting this fact. 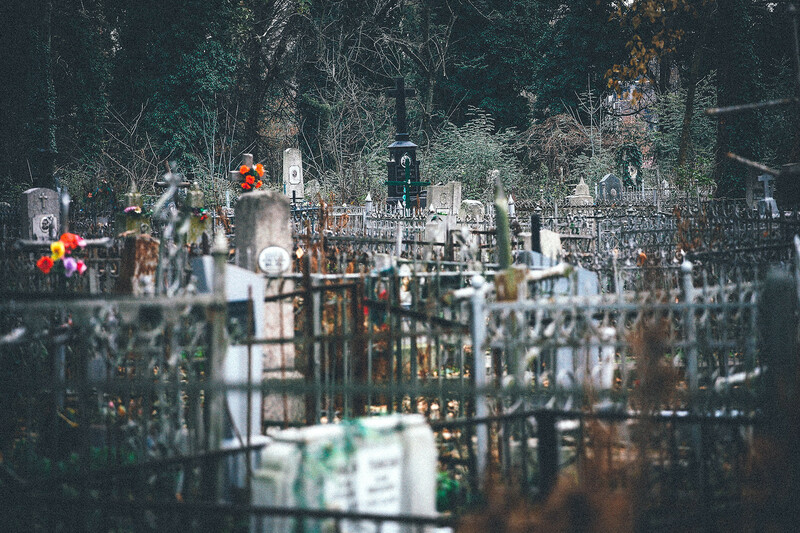 Slowly, graveyards are being re-discovered by the urban population. 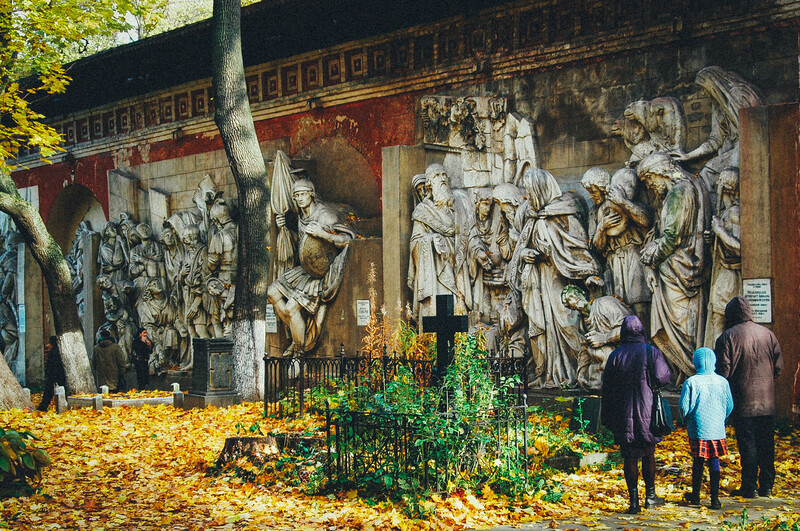 Historical graveyards are full of guided tours – people study history and architecture looking at tombstones, crypts and mausoleums. Some graveyards are like parks for locals – moms with toddlers, couples and lonely walkers. Infrastructure changes slowly, but graveyards are being equipped with park benches, walking paths, and maps with the most important graves marked. Most elderly Russians save money, but not to take a trip to Europe or buy a dacha. They’re saving for their funeral, just like people did in olden times. Today, however, when a church burial isn’t compulsory, the process of saving is a way of guaranteeing yourself eternal rest. 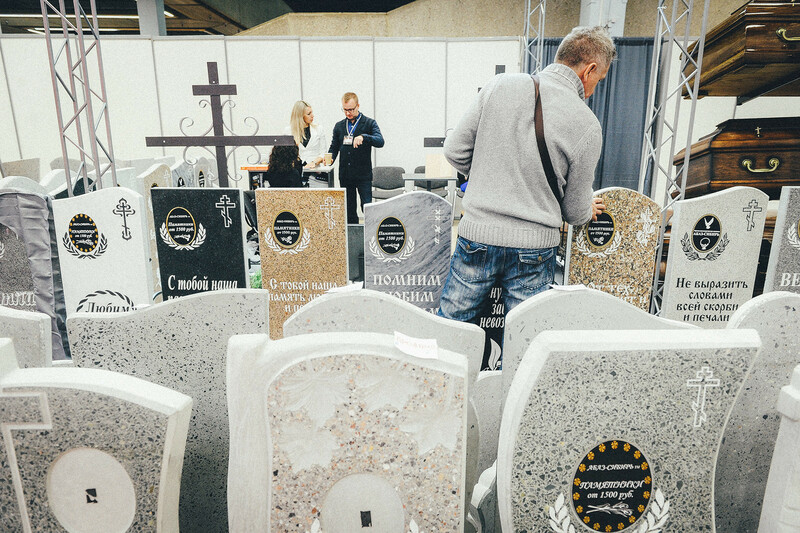 “People think that if they order and set up tombstones, and supervise their funeral beforehand, then everything will be fine and they’ll accept death in a decent way,” Sergey Mokhov noted. “Recently, I read an article about an oncologist who will blog about his process of dying. He’s got 3 to 7 years left. 15 years ago, that would have been unthinkable – I mean, he could blog, but not a single newspaper would publish an article [about it],” Sokolova says. So, things are changing for the better – if that’s an appropriate thing to say. People also actively use the Internet, and this is a revival of collective mourning, as it was in villages in Imperial Russia. Now, Facebook or Vkontakte pages become memorials to the deceased, and this is indeed useful in big cities.